Spend time in Adelaide before journeying to the tropical Top End and cruising down the East Coast in style. Soak up the sights, sounds and aromas of Adelaide Central Market. Enjoy delicious wines in the world-famous Barossa Valley. Take a guided beach walk among a colony of Australian sea lions. 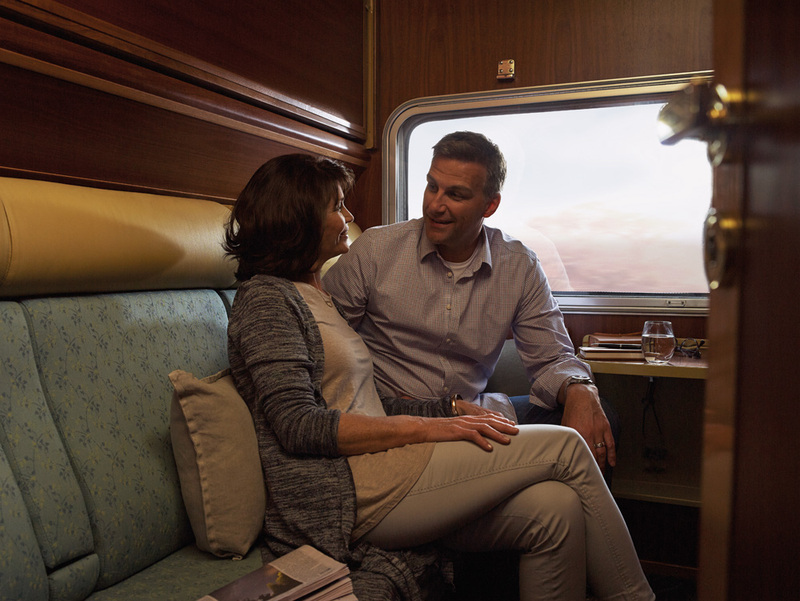 Indulge in the all-inclusive service on board The Ghan. Discover the best of Darwin on a laid-back sightseeing adventure. Explore the highlights of each new port of call as the Voyager of the Seas carries you down the East Coast. 5 night stay in Adelaide at the Hilton Adelaide including breakfast. Full day Barossa & Hahndorf Highlights tour including lunch. Full day Kangaroo Island Experience tour including lunch. Transfer from your accommodation to the rail terminal. Transfer from the rail terminal to your accommodation. 2 night stay in Darwin at the DoubleTree By Hilton Hotel Esplanade Darwin including breakfast. 24 hour Hop on Hop off Bus. Transfer from your accommodation to the cruise terminal. 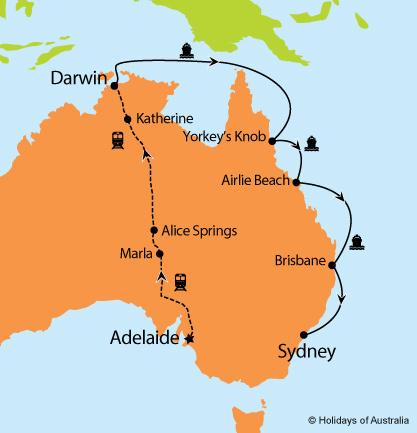 9 nights aboard Voyager of the Seas cruising from Darwin to Sydney with port calls in Yorkey’s Knob, Airlie Beach and Brisbane. Your cruise includes on board meals and entertainment. †Transfers limited to 50km, extra km’s at a supplement. Images courtesy of Royal Caribbean International, Great Southern Rail, Tourism SA, Tourism Australia, Shaana McNaught & Tourism NT, Elizabeth Carlson & Tourism and Events Queensland, Jules Ingall. ^Save $500 per booking offer is available on new bookings only and has been applied to the advertised price. Valid on bookings made & deposited by 30 Apr 2019.